The men’s semi-finals are upon us at the 2014 French Open, and lo and behold who is still in the bracket? 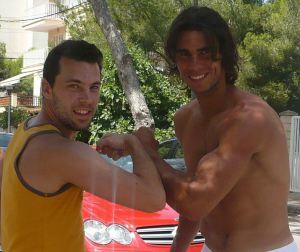 The incomparable Rafael Nadal of course. It seems appropriate to re-visit our 2013 blog post on Rafa and his knees. Let’s hope they hold out, and that sport (and not injury) determines the Men’s champion at Roland Garros!